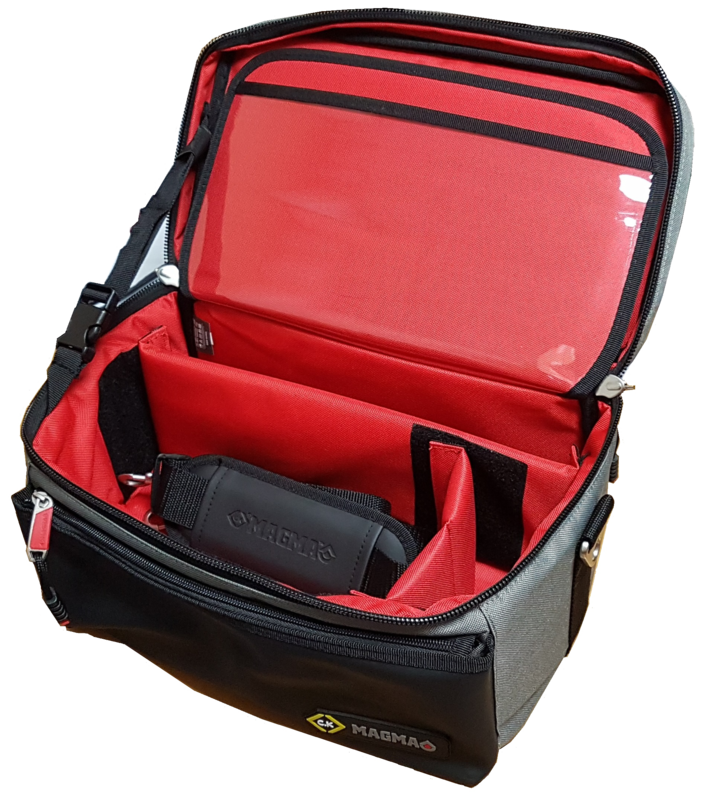 Bright red inner lining for easy visibility of stored items. 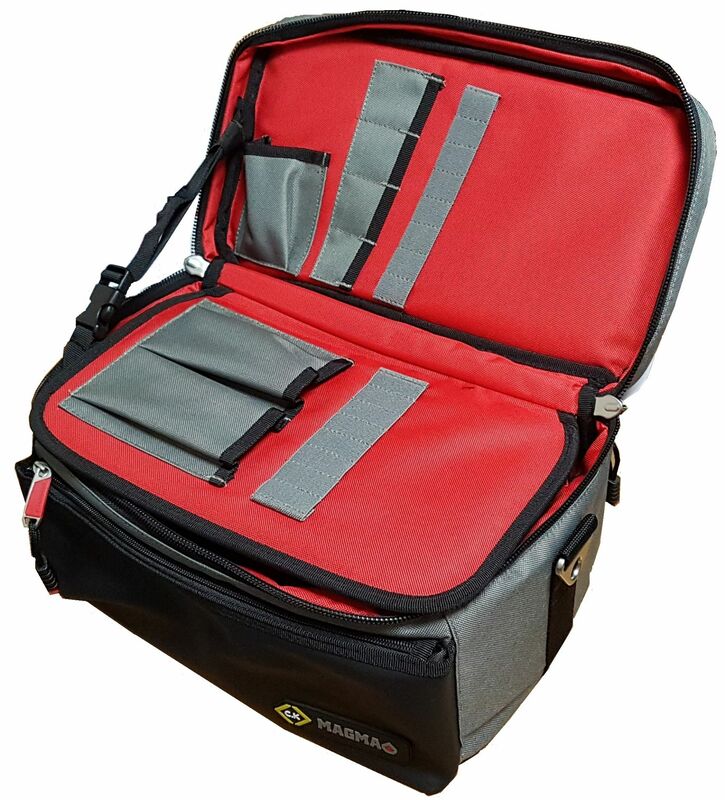 Adjustable padded compartments. Convenient tool kit storage. Handle and padded shoulder strap.